A lot of American voters tend to approach elections like they approach food, clothes and entertainment. They choose what they like “in the moment”. But feelings about appearances is not the right way to measure a candidate. The right way to measure is by looking at the voting record. 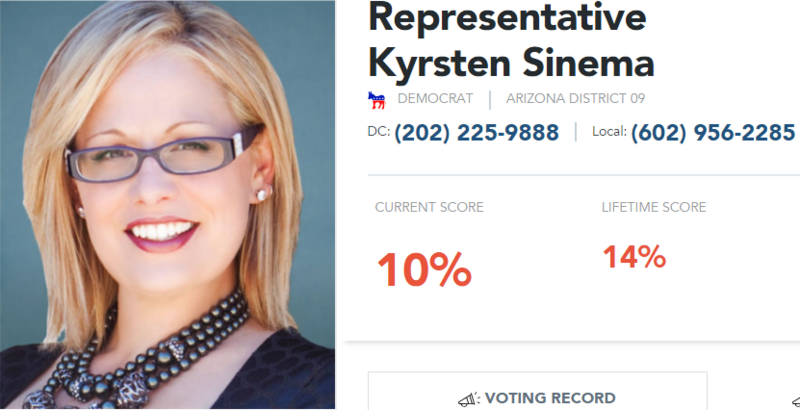 So let’s do that with Democrat Senate candidate Kyrsten Sinema of Arizona. The Heritage Foundation is a respected Washington think tank, and they’ve collected together all the votes of the candidates. Bloated $855 Billion CROMNIBUS Spending Package09/26/2018Back in March, President Trump nearly vetoed a $1.3 trillion omnibus spending bill promising the American people that he “will never sign another bill like this again.” One of the President’s objections to the omnibus was its lack of conservative policy riders – particularly sufficient funding for border security – combined with increases in the Democrats’ spending priorities. Six months later Republicans and the President find themselves in a similar situation. Rescissions Package to Cut Spending from Expired and Unnecessary Programs06/07/2018Today, the House will vote on the Spending Cuts to Expired and Unnecessary Programs Act (H.R. 3), introduced by House Majority Leader Kevin McCarthy (R-Calif.), as modified by the Rules committee to adjust to a supplementary message from President Trump earlier this week. Rollback of onerous bank regulations from the Dodd-Frank Act05/22/2018The House voted on the Economic Growth, Regulatory Relief, and Consumer Protection Act (S. 2155), introduced by Chairman Mike Crapo (R-Idaho). This bill provides targeted exemptions for smaller banks from various Dodd-Frank regulations put in place after the housing market collapse and financial crisis in 2008. Biggs Farm Bill Amendment to Repeal Bioenergy Subsidy Program05/17/2018The House voted on and failed to pass an amendment offered by Rep. Andy Biggs (R-Ariz.) to H.R. 2, the Agriculture and Nutrition Act of 2018. This amendment would repeal all Department of Agriculture biofuel and energy subsidy programs contained within Title IX of the 2014 Farm Bill. McClintock Work Requirement Farm Bill Amendment05/17/2018The House voted on and failed to pass an amendment offered by Rep. Tom McClintock (R-Calif.) to H.R. 2, the Agriculture and Nutrition Act of 2018. The McClintock proposal amends SNAP work requirements to repeal geographic area waivers and allow states to exempt only five percent of SNAP recipients. Additionally, the amendment sets the same work requirement for married parents as for single parents, reducing a long-standing marriage penalty. Born-Alive Abortion Survivors Protection Act (H.R.4712)01/19/2018This week, the House will vote on the Born-Alive Abortion Survivors Protection Act (H.R. 4712), introduced by Rep. Marsha Blackburn (R-Tenn.). This legislation requires that appropriate medical care be given to any child who survived an attempted abortion, and establishes criminal penalties for health care practitioners that violate this requirement (the mother of a child born alive may not be prosecuted) and a civil right of action to enforce the law. Tax Cuts and Jobs Act (H.R.1)12/20/2017This week, the House and Senate will vote on the Tax Cuts and Jobs Act (H.R. 1), the most significant tax reform and tax cut legislative initiative since the 1986 tax reform package passed under President Ronald Reagan. The bill would make sweeping changes to the individual and corporate codes, and eliminate Obamacare’s individual mandate penalty. Pain-Capable Unborn Child Protection Act (H.R. 36)10/03/2017This week, the House will vote on the Pain-Capable Unborn Child Protection Act (H.R. 36), introduced by Rep. Trent Franks (R-Ariz.). 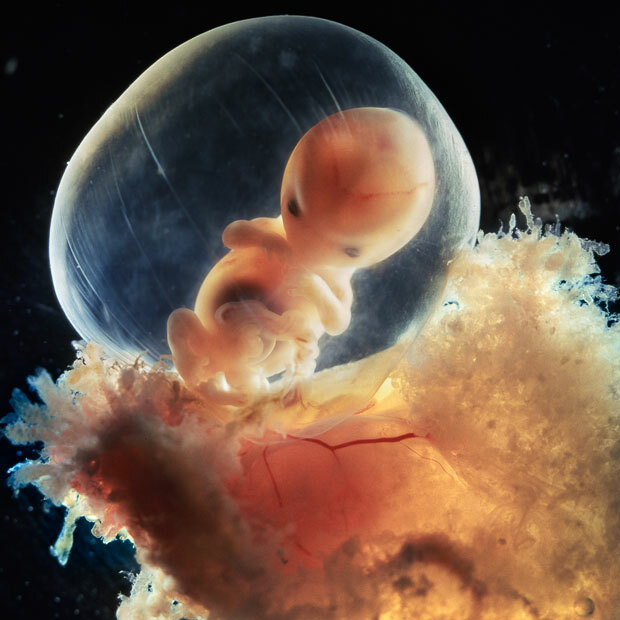 This legislation would protect unborn children by preventing abortions 20 weeks after conception, at which time scientific evidence suggests the child can feel pain. 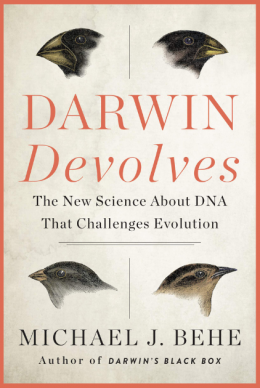 In 2015, a similar bill passed the House by a 242-184 vote. Norman Amendment to Cut EPA Funding09/13/2017The House will vote on an amendment offered by Rep. Ralph Norman (R-S.C.) to H.R. 3354, the fiscal year 2018 omnibus spending measure. The amendment would reduce total appropriations to the Environmental Protection Agency (EPA) by $1,869,087,000. Buck NDAA Amendment to Alternative Energy Requirements07/13/2017The House will vote on an amendment offered by Rep. Ken Buck (R-CO) to H.R. 2810, the National Defense Authorization Act (NDAA) for Fiscal Year 2018. This amendment would prohibit funding for the renewable energy mandate at the Department of Defense (DOD) and prohibit the Secretary of Defense from purchasing alternative energy unless it is equivalent to conventional energy in terms of cost and capability. Alternative energy research is exempted under this amendment. Hartzler NDAA Amendment on Gender Transition Funding07/13/2017The House will vote on an amendment offered by Rep. Vicky Hartzler (R-MO) to H.R. 2810, the National Defense Authorization Act (NDAA) for Fiscal Year 2018. This amendment would prohibit funds from being used by the Department of Defense (DOD) to provide medical treatment (other than mental health treatment) related to gender transition for members of the military. This week the House of Representatives is expected to vote on H.J.Res. 43, sponsored by Rep. Diane Black (R-TN), a disapproval resolution of the final rule submitted by Obama’s Secretary of Health and Human Services (HHS) relating to compliance with Title X requirements by project recipients in selecting sub-recipients. Title X of the Public Health Service Act provides federal funds to states for family planning grants. Once states receive the funds, they have the ability to prioritize sub-recipients, directing funds to organizations like community health centers and family health clinics. While federal law prohibits government funding for abortion, it does allows certain public dollars, like the Title X grants, to support abortion providers if the funds are directed to non-abortion related health services. Under this exception, Planned Parenthood has been eligible to receive Title X funds, per the states’ discretion. No Taxpayer Funding for Abortion and Abortion Insurance Full Disclosure Act of 2017 (H.R. 7)01/24/2017This week the House will vote on the No Taxpayer Funding for Abortion and Abortion Insurance Full Disclosure Act of 2017 (H.R. 7). Sponsored by Rep. Christopher Smith (R-NJ), the bill would establish a permanent, government-wide prohibition on federal taxpayer funding of abortion and health benefits plans that include coverage of abortion, as well as prevent federal tax dollars from being entangled in abortion coverage under Obamacare. Obamacare Repeal Budget Resolution01/13/2017On Friday, the House will consider a concurrent resolution (S. CON. RES. 3). While the resolution will technically set the congressional budget for the United States Government for the remaining eight months of fiscal year 2017, its only functional purpose will be to produce reconciliation instructions that unlock fast track authority that Congress can then use to repeal Patient Protection and Affordable Care Act (PPACA). Separately, there is an expectation that the fiscal year 2018 budget resolution will reflect the longstanding conservative values embedded in previous GOP budgets. But to be absolutely clear, adopting S. CON. RES 3 is the only way to expedite the repeal of Obamacare. REINS Act (H.R. 26)01/05/2017This week, the House will vote on the Regulations from the Executive in Need of Scrutiny Act of 2017 (H.R. 26). The bill, introduced by Rep. Doug Collins (R-GA) 79%, would increase accountability for and transparency in the federal regulatory process by requiring Congress to approve all new major regulations. If you live in this state, please consider sharing this article to let everyone know how this candidate has voted in the past. I hope everyone knows about James O’Keefe, and the excellent undercover videos that he makes for his Project Veritas operation. One of the most important Senate races in the country is the race to fill an open seat in Tennessee. Regular readers know that I am a huge admirer of Marsha Blackburn – a pro-life conservative. She is running against a far-left progressive named Phil Bredesen. Project Veritas Action Fund has released a second undercover video from campaigns during this 2018 election season. This report exposes Tennessee staffers from Phil Bredesen’s U.S. Senate campaign revealing his willingness to court moderate voters through deceit. This was especially evidenced by Bredesen’s recent statement suggesting he would, if he was already in the Senate, vote to confirm now Supreme Court Justice Brett Kavanaugh. […]Maria Amalla and Will Stewart, staffers in Bredesen’s campaign, both say on hidden camera that if he were in the Senate, Bredesen would not actually have voted to confirm then-Judge Brett Kavanaugh. They explained that the statement Bredesen issued in support of Kavanaugh was a political ploy to gain the support of moderate voters in Tennessee. I have written about Marsha Blackburn 68 times since I started blogging in early 2009. She is one of my favorite conservatives. In all honesty, I would vote for her against pretty much anyone running against her. She is endorsed by the NRA , the Chamber of Commerce, and the pro-life Susan B. Anthony List. The Tennessee Senate race is one of the most important races, but there are other close ones. If you live in one of these states, make sure you get registered and get out to vote. If you can put up a yard sign (I have three of them, one for each Republican candidate) then you should do that. I also got bumper stickers from the campaign office, and bought magnet stickers to stick them on, so that I can switch them back and forth between my cars. Look, I believe that if we can get another 2-3 more conservative senators into the Senate, then we might see judges even more conservative than Brett Kavanaugh. My favorite candidate is Raymond Kethledge, but I’d like Amy Barrett to replace Ruth Bader Ginsburg. We could get these two justices on the Supreme Court, but only if we take Senate elections seriously. Yard signs are good. Bumper stickers are good. Going door to door is good. Making calls to get out the vote is good. Do all you can if you’re in one of these critical states. This article from the left-leaning Houston Chronicle has some amazing news about Cruz’s fundraising. Big money flew through the checking account of Texas Sen. Ted Cruz’s presidential campaign in February, when it reported its highest monthly income and expenditures to date, soaring above the GOP pack. And for the first time, the Cruz campaign spent more than it took in. Fresh federal filings posted Sunday show a dramatic uptick in campaign costs and contributions for the period that spanned from Cruz’s unexpected win in Iowa, the nation’s first primary contest, to the day before his momentum seemed to fall behind frontrunner Donald Trump in a string of Super Tuesday votes on March 1. Cruz’s Houston-based campaign took in $12 million in February, according to Federal Elections Commission records, compared in $7.6 million in January and $20.5 million in the last three months of 2015 combined. Trump has collected $7.7 million in contributions since he launched his campaign in June, in spite of his repeated assertion that he self-funds the operation. He has lent his campaign $17.5 million. I don’t think it’s a good idea to support a candidate who says things that are not true, then has to back away from them after. If he lies about silly stuff like this, then what will happen when he has to tell the truth about something important? I’m really hoping that Cruz can pull off a winner-take-all victory in Utah, which he will if he gets over 50% of the vote. And if Cruz wins in Arizona, that could mean that he will have more delegates than Trump at the time of the GOP convention. Suppose God had coffee with Donald Trump… how would that go? Is Donald Trump right to order U.S. troops to commit war crimes? How well did Donald Trump do in the hotel and casino business? Is Trump right to praise Putin’s leadership abilities? 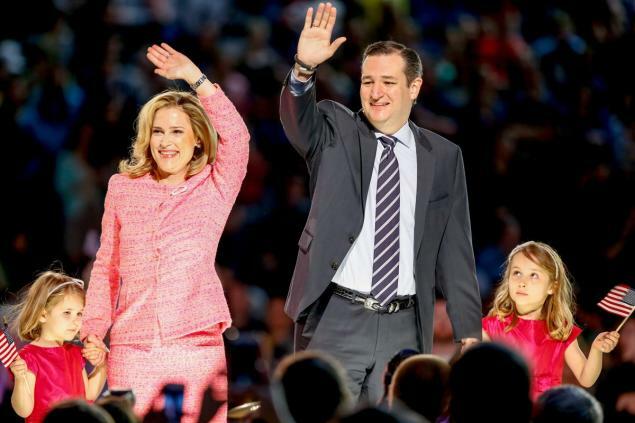 Who has done more on the pro-life and pro-marriage issues – Trump or Cruz? Where did Rubio, Cruz and Trump stand on amnesty before running for President? Should evangelical Christians prefer Donald Trump on moral grounds? What are the “New York Values” that Trump’s evangelical Christian supporters admire? Who is more conservative on the marriage issue? Trump, Cruz, Carson or Rubio? Is Donald Trump’s claim about Muslims celebrating 9/11 in New Jersey accurate? 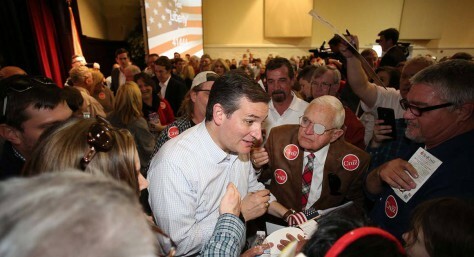 Texas Sen. Ted Cruz has zoomed to a commanding lead in Utah’s GOP caucuses, according to a new poll released Saturday. It also gave a glimpse into how frustrated the state’s Republicans are with Donald Trump’s candidacy. The Y2 Analytics survey shows Cruz with 53 percent support among likely Republican caucus-goes and if that matches Tuesday’s caucus vote, he’d win all of the state’s 40 GOP delegates. […]This is the first poll released in the state in over a month, and the only one since the field narrowed to just three candidates. It showed that Cruz performed even better among “very likely” caucus attendees, coming in at 57 percent. Scott Riding with Y2 Analytics said it appears that a bulk of Florida Sen. Marco Rubio’s supporters went to Cruz after he dropped out earlier this week. Time to review Cruz’s achievements to see why he’s the best candidate still running.